Sommer Shepperd is a very up to date woman, she also has impeccable taste and I’m pretty certain that’s not a surprise to anyone. 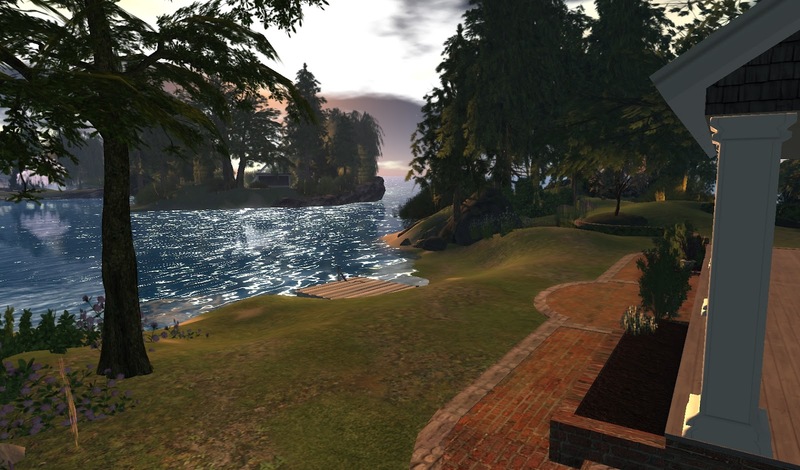 Recently, Sommer gave a tour of her home to some of her girlfriends and I was so impressed I wanted to start my new series with a tour of her island in Second Life New England. And without further ado, here is my pictorial essay. but standing out brightly in the sun. 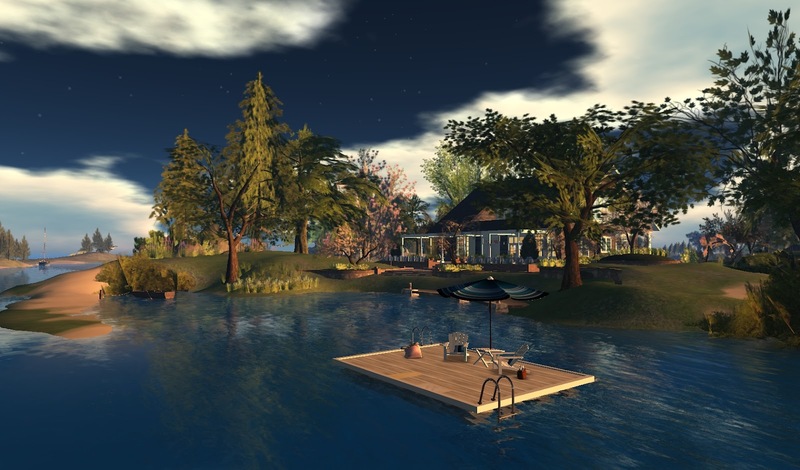 SL New England homes, you get there by boat. and beautiful view, as in a picture. Here’s a view from the front porch. And here’s her home from the other side of her island. it’s little cove and a place to relax on a summer day. but looking outward to the ocean. essence of great homes and gardens in my view. at Sommer’s island paradise & home. I think you’ll see from these photos that a great many statements can be made about your taste through you home. 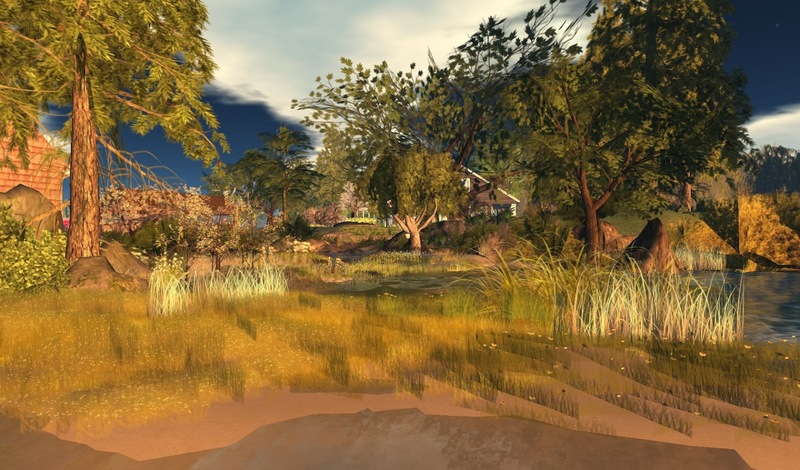 Each person has their own vision of the world they want to express, and Second Life gives us the chance to express our vision in very satisfying ways. Beautiful work, Sommer! So far, I’ve begun shooting photos of the homes of friends and so far those are all women. I was told by someone when I first came to SL that I passed the “female” test. He said he knew I was femaile because I type fast and say a lot and because I have a cozy home. /me snarls at the “say a lot” remark. Nonetheless, after that I began to notice that virtually every woman I knew either had a home or was looking for one, whereas my guy friends rarely had homes. Why is that? Guys out there, hey! If you have a home you’d like me to feature in my Home & Garden series, please let me know. This entry was posted in Features and tagged Exploring, Friendships, Homes & Gardens, Photography, Second Life. Bookmark the permalink. Because the guys are cheap! LOL! They don't change or buy clothes much either 😉 In general though, I don't see men spending as much money in SL as women do.